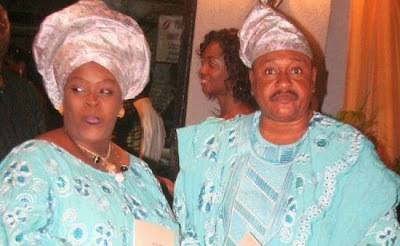 Kemi Olunloyo, a lady known for harbouring several secrets about celebrities, is back on Twitter, making surprising accusations, and this time, she has targeted recently bereaved actor Jide Kosoko whose wife, Henrietta Kosoko passed on yesterday. Bloggers so desperate as always. 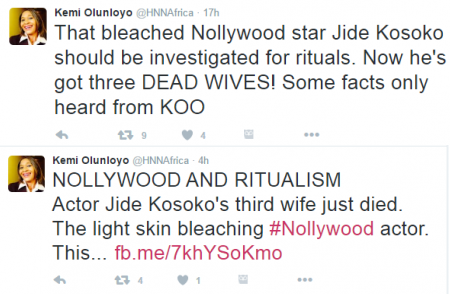 I called for investigation of Jide Kosoko in the occult and ritual realm. I NEVER mentioned "money rituals"
However, several people including the numerous fans of Jide Kosoko have lambasted Kemi for her insinuations. One fan pointed out that her deserved to be jailed for slander.